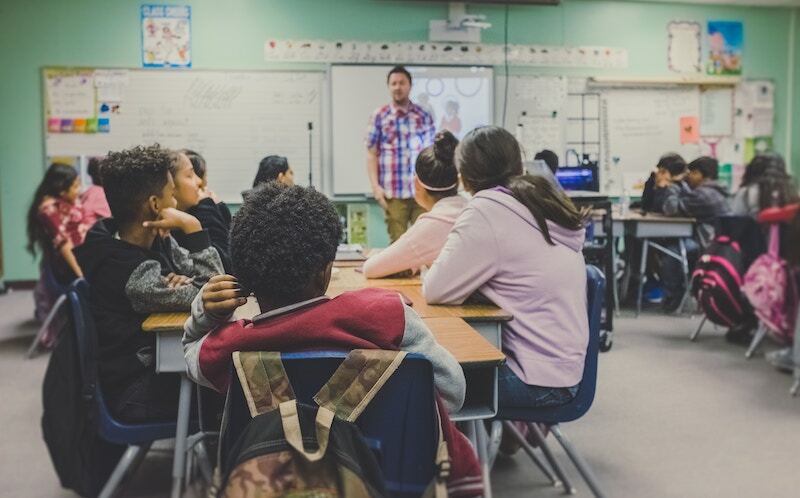 A Teamup Calendar can help simplify education for any organization, making student management, class scheduling and more much easier. Mullein Hill Christian Academy is a small private school, serving around 100 students in pre-kindergarten through 8th grade. Located in Lakeville, Massachusetts, it is a school with high academic standards as well as a spiritual and biblical philosophy of education. The students are served by a faculty of highly qualified teachers and a large volunteer staff. School principal Barbara Priestly shared how a Teamup Calendar has helped them to assist students with organization and self-management. I had several requirements: I need a tool that was teacher and parent friendly, easy to use, quick, and flexible. As the principal, I need something that I could track and oversee. …Nothing was the right combination of features and security. Then I found Teamup. Our students and parents have a lot to keep up with: tracking long-term projects, quizzes/tests, special school events including Dress Down Days, lunch forms, field trips, etc. Some students struggle to keep a traditional paper agenda book; however, as a small school, we have no money for technology. I searched desperately to find something parents could use to track day-to-day assignments, dates, and paperwork to support their children. I had several requirements: I need a tool that was teacher and parent friendly, easy to use, quick, and flexible. As the principal, I need something that I could track and oversee. Up to this point we had tried emails, our SIS calendar (which could not accommodate every grade), notes, calls, everything you could imagine! Nothing was the right combination of features and security. Then I found Teamup. Teamup has been a tremendously effective tool! Our Teamup Calendar provides support for the students with the greatest needs to be successful in school. Mullein Hill Christian Academy’s Teamup Calendar. Parents can now check in nightly to see assignments. Not all of our students use it, just as not all students need an agenda book. For those students who need something to help with tracking assignments, paperwork, events, etc., Teamup has been a tremendously effective tool! Our Teamup Calendar provides support for the students with the greatest needs to be successful in school. If it was not free, we would not have access to a tool like this. Thank you! 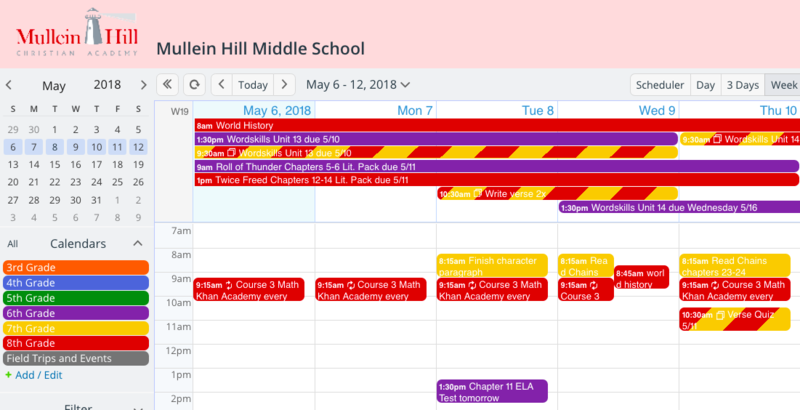 Teamup’s unique way of managing calendar access–with varying levels of access permission assigned to each sub-calendar included in a calendar link–makes it a perfect fit for the school. For each calendar link, choose which sub-calendars to include, then choose the level of access permission for each sub-calendar. Teamup provides nine different levels of access permissions. Each access permission determines what a user is allowed to do when accessing the calendar. As the calendar administrator, Barbara can create unique calendar links and set their level of access permission to the calendar. For example, parents and students can have a calendar link with Read-only permission; this lets them see everything on the calendar but not add, modify, or delete any events. For teachers or others who need to add information to the calendar, a Modify-from-same-link or Add-only permission is perfect. Thanks to Barbara Priestly for sharing your story with us!